The LED candle lamp is powered by solar energy, no need to connect to external power supply. Easy to install and convenient to use. 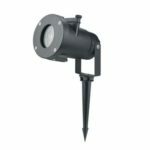 LED light source is flameless, no risk of burning, IP65 waterproof is suitable for outdoor lighting. Great for festival decoration. 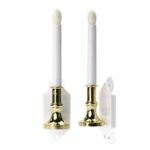 No extra wire or battery required, suction cup holds the candle light tightly to the flat glass window. 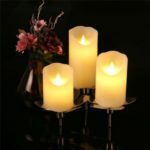 Solar LED candle light is really beautiful in the dark, just like real candle flicker in the night,add romantic and charming atmosphere. It&apos;s fit for Christmas, Thanksgiving, Wedding, Party, holiday decoration, seasonal celebration and more. 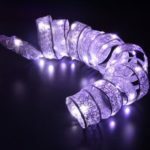 Although solar window lamps look exactly real candle and create incredibly realistic dancing flame, but it&apos;s flameless and non-smoke product, safe for families with pets or kids. 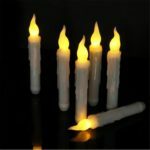 The window candles have waterproof design, suitable for outdoor working.